What do I know about Math? This post is a continuation of the most previous article, Being Measured… It is not necessary, but if you have time, read that one first. This morning I will, once again, have the honor and the challenge of speaking to an audience who comes from a community of interest and expertise different from my own. A few months ago, I spoke to music educators in the state of Pennsylvania. I can’t even read music. I have spoken to conferences for teachers of writing. I graduated from high school believing myself to be a poor writer. No, let me rephrase that, I was taught that I was a lousy writer. Today, I speak to a group of math teachers in Minneapolis. Like writing, and learned in school that I was not good at arithmetic. So what do I say to the math teachers? I’ve been hired to paint a picture of our times. To explore, in front of my audiences, the defining nature of our future, the unique qualities of our students, and the emerging information landscape that is increasingly helping us to define the world that we live in. But through that digital, networked, and overwhelming information environment, I have learned to write. Not always well, and sometimes without the clarity that I wish for. But with an audience and engaged conversations, I am finding my voice and have even found that I can learn through my own writing. Empowered by the tools of digital music, I am learning how it works, not like a student in a classroom, or supervised over a piano, but like a scientist, testing the combinations and patterns of sound, and learning the power of the note that is not played. I told the story at the Learning 2.008 conference, about my first experiences with computers, and how my school received eleven Radio Shack Model III (TRS-80) computers — with no software. Setting out to teach myself how to program them, I learned that programming was almost entirely about syntax and math — and the evening of that first day, I got down on my knees and forgave every algebra teacher I’d every had and thought poorly of. The theme of this conference is algebraic thinking, and I believe that this is what I learned that first day of programming. Algebra is not just solving X for Y. Thinking in algebra is about working the Y so that the X behaves the way that we want it to. Does this make sense? A more recent example is my office in Second Life?. I have built a file cabinet that holds, so to speak, my online handouts. 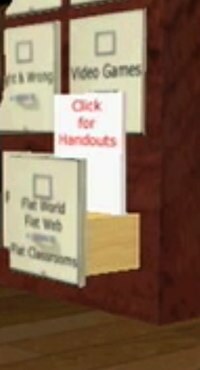 You click the drawer for the presentation you saw, and it delivers the online handouts to your web browser. The drawer, however, is programmed to slide out of the cabinet when you click it. This was done by taking the number that defines the position of the drawer on a particular axis, and algebraically incrementing that number one unit every fifth of a second, giving the illusion of sliding out. Basically, it was not about solving the X by factoring through the Y side of the problem. It was about working the Y side of the problem to generate the X that I needed. I know that this is an over simplification of something that can take on a multitude of forms. But it is so much of what I see as we come to understand and appreciate our world in a different way, through the information — the numbers — that are forming new lenses for us. We are not just solving problems. We are working the problems to invent new solutions — adding new value. 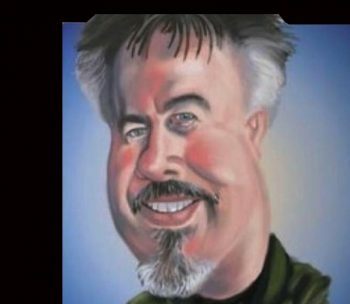 Author David WarlickPosted on September 23, 2008 September 23, 2008 Categories bloggingTags algebra, education, mathematics, numbers, technology, warlick4 Comments on What do I know about Math?